We're bringing our record collection to the desert. This says more about our age than our hiptitude. Some of our albums we bought new at the time. I bought my first album, Nancy Sinatra's Boots, at Falks ID department store, in Boise, Idaho, in the late 60s. 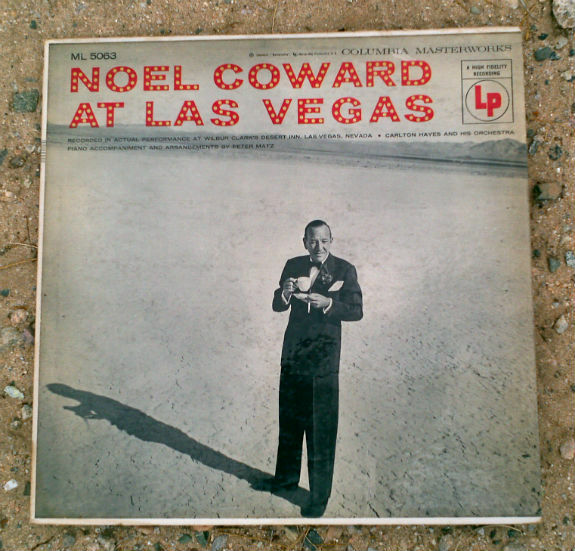 Charlie, our visitor from LA, brought Ken this lovely copy of Noel Coward at Las Vegas. Ken took this photo out in our driveway. Thanks, Charlie!